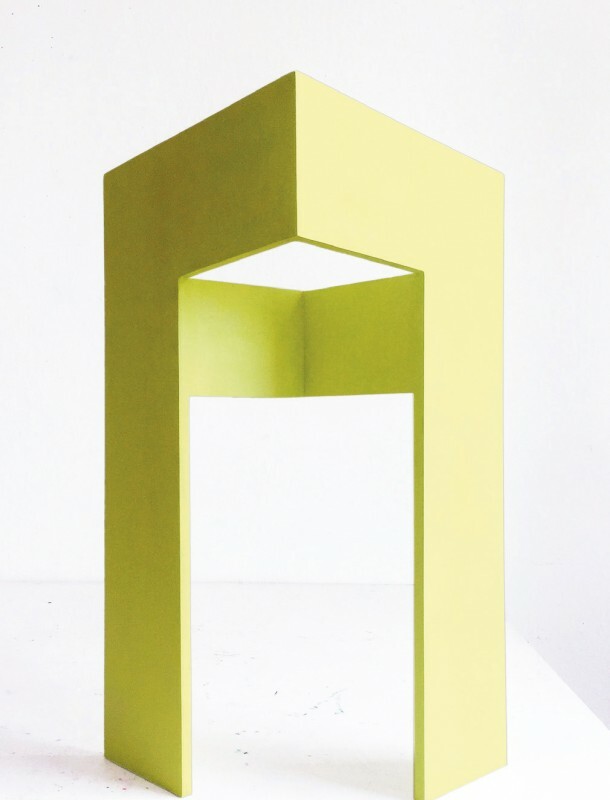 Untitled (lemon) 2017, dispersion, eggtempera, pigments and plywood, 42 x 32 x 22 cm. 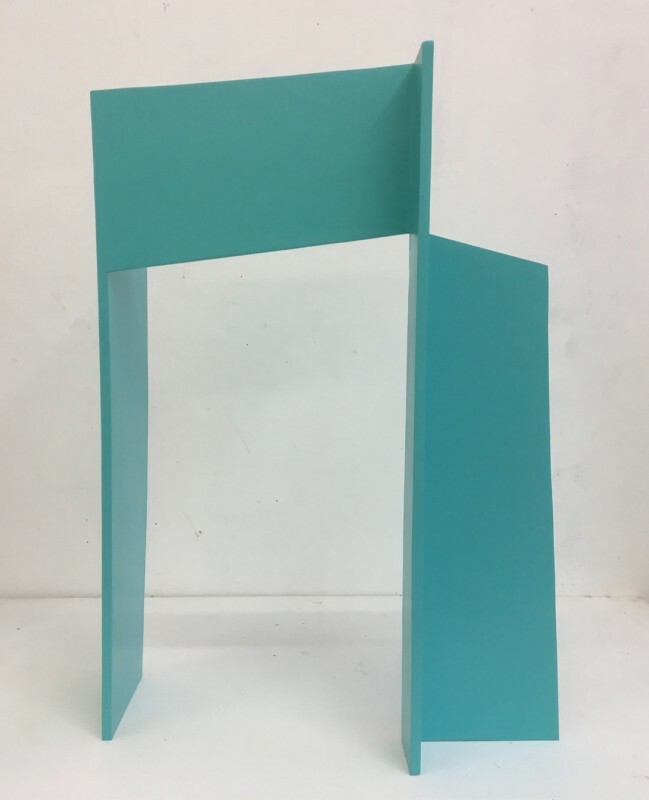 Turning a disc and, in turn, being turned as well, 2015, coated aluminium, 265 x 150 x 37,5 cm. 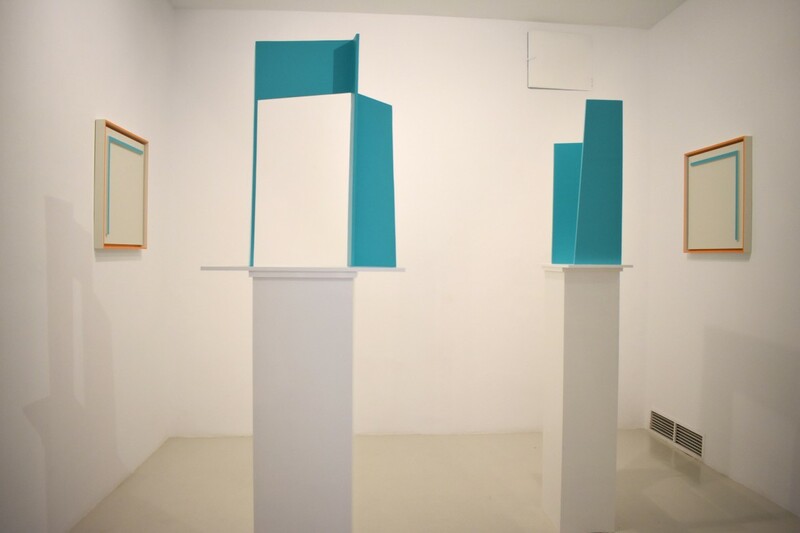 ‘Tulips and chimneys’ is a solo exhibition by German artist Madeleine Boschan (Braunschweig, 1979) whose sculptures should be first and foremost read as propositional: concrete objects that pose the essential question of how our body engages with and finds its place in the real world. Behind her formalist abstract vocabulary there is a social dimension that crystallises in the very pressing issue of how to life together. 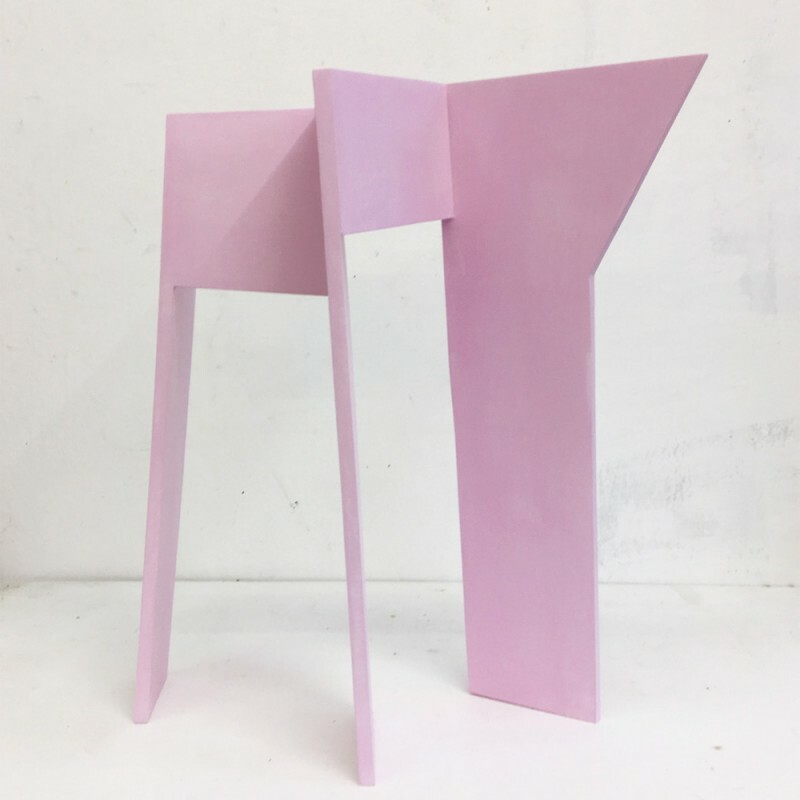 Drawing productively from other disciplines such as architecture and literature, her monument-like sculptures articulate a wide range of references and investigate the relation between body and space. 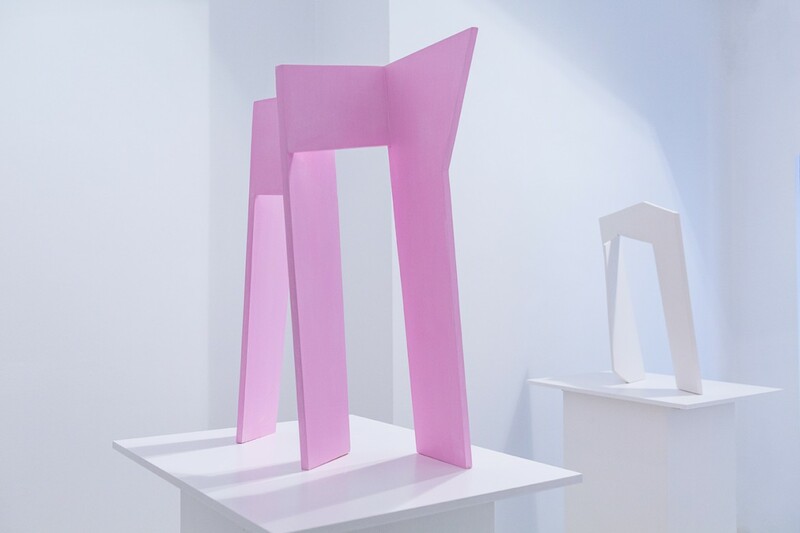 Similarly to what Rosalind Krauss described in her seminal article ‘Sculpture in the expanded field’ (1979), in Boschan’s work the logic of the monument is simultaneously reaffirmed and undermined: while her sculptures respond to and are inscribed in a given context, their eminently utopian and abstract nature transcend any form of specificity thus opening up to new possibilities. It is perhaps the idea of the threshold, so present in all her recent work, what imbues Boschan’s practice with an architectural dimension that unequivocally draws the viewer to experience the space in so many different ways. This feeling is enhanced by the fact that her sculptures very often find inspiration in architecture (e.g. classical, Japanese or modernist). On a discursive level, her interest in this discipline lies in architecture’s essentially idealistic and humanistic nature. 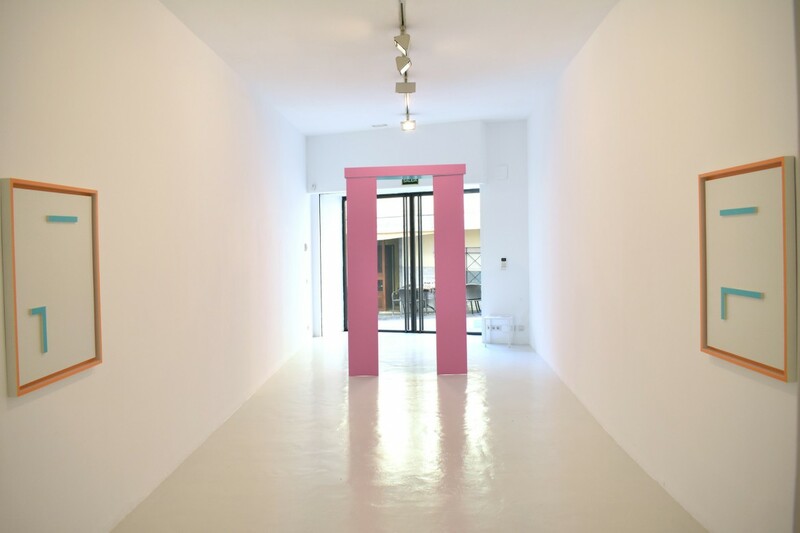 As a result, the beholder’s subjective experience is at the heart of her artistic concerns; it is all about the relation between the body, the object and a given context that leads her to investigate not only the physical but also the affective and social qualities of the space. 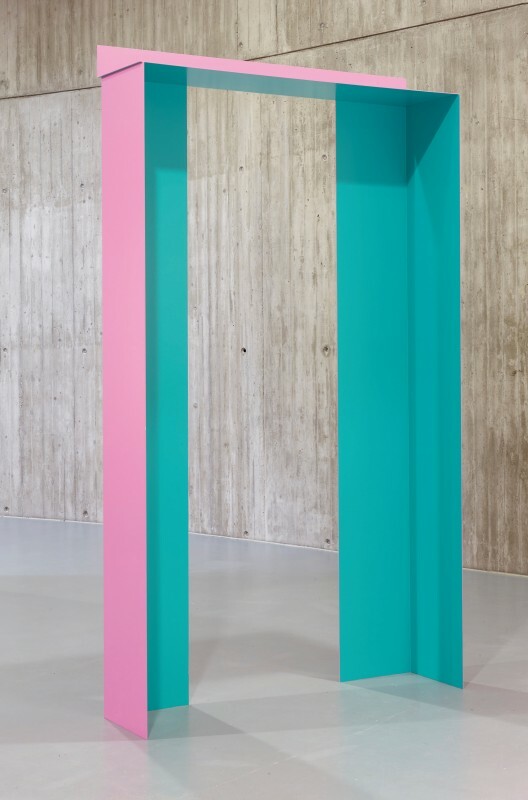 Interestingly, Madeleine Boschan’s sculptures convey a strong sense of inhabiting; while the elegant turning a disc and, in turn, being turned as well, (light pink and turquoise) (2015) allows the visitor to literally walk through it, her model-like plywood structures present themselves as rather ambivalent objects that ask the viewer for a physical as well as a conceptual repositioning. 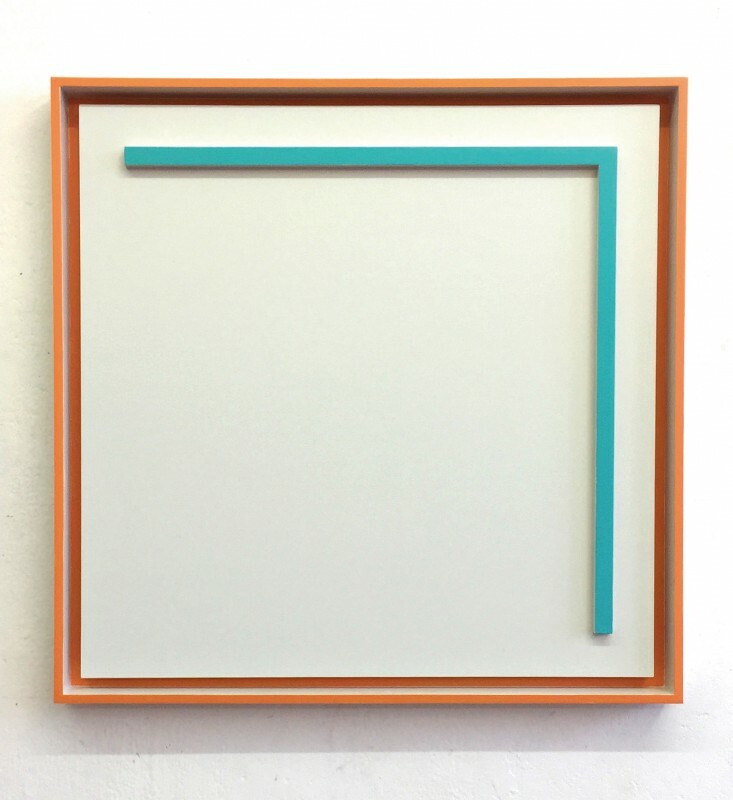 Her abstract vocabulary of pure lines and gracious volumes inscribes itself in the Modern European abstract tradition, especially akin to those experiments that stemmed from Minimalism and the Hard Edge. 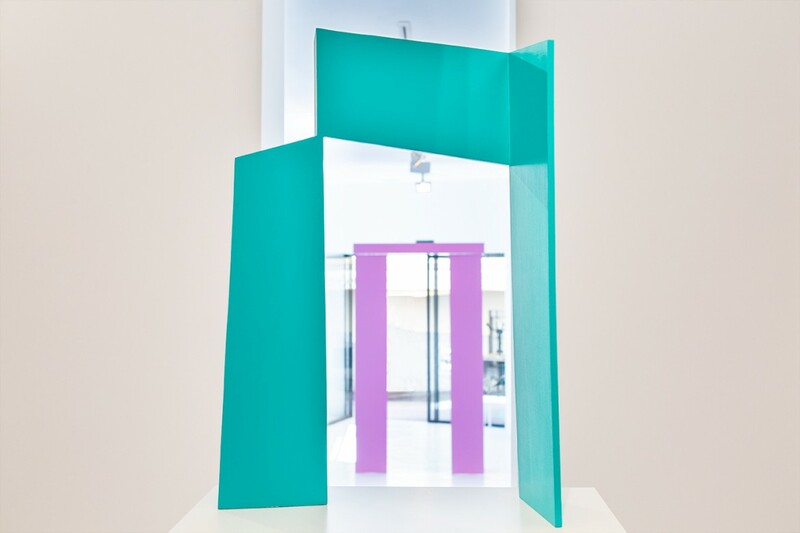 In Boschan’s case, however, the sculptures playfully avoid being apprehended all at once; there is a productive optical effect operating here where, as the viewer moves through the space, the different planes and angles shift, collapse and reappear creating an infinite number of vantage points. Additionally, the brightly coloured monochrome surfaces and the astute combination of light and shade, as well as the understanding of the void as an integral part of the sculptures, contribute to a process of dematerialisation by which the artworks gain a certain ethereal quality. 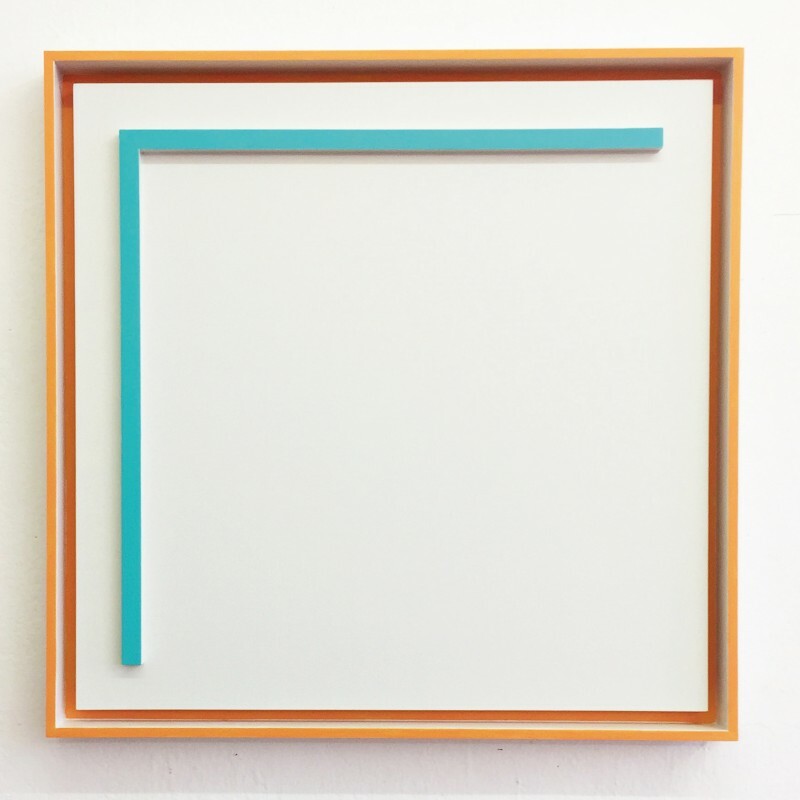 The exhibition also includes a series of wall pieces where the linear motives relate to the sculptures’ very own shapes; as if they marked the remains of an ancient civilisation, Madeleine Boschan threads a narrative that again brings to the fore socio- aesthetic propositions such as the monument, the place and the body. Finally, ‘Tulips and chimneys’ borrows its title from E.E. Cummings first collection of poems published in 1923. His personal style, in line with avant-garde movements such as Cubism, challenged traditional grammar and linguistic rules and had a profound impact on later generations. With this literary reference Madeleine Boschan intentionally points to a radical stance in harmony with her very own artistic practice; a body of work based upon continuous experimentation that investigates the divide between the subjective and objective realms, particularly the precise moment when we come to experience the real world. Madeleine Boschan lives and works in Berlin / Germany. She studied at Hochschule für bildende Künste Braunschweig / Germany (2000 – 2006) and Ecole d ́Art du Havre / France (2002). 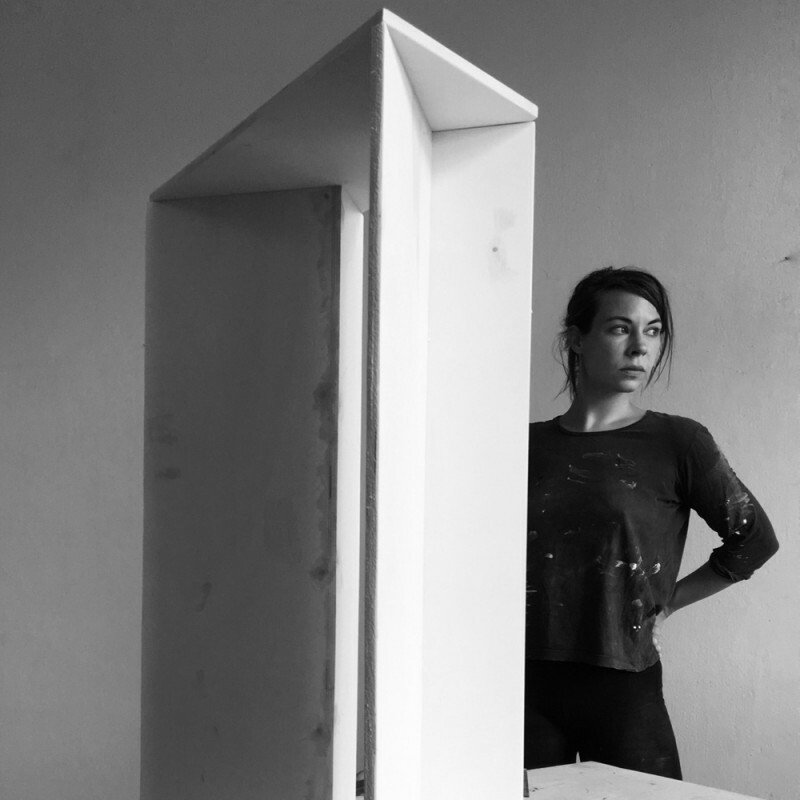 She won the first prize for art in architecture of the Institute of Quantum Physics, Ulm University / Germany (2017–2018). Her recent solo exhibitions include: BB 105 /146, Galerie Lange + Pult, Zurich, Switzerland (2017) What lays bare in me, Collectors Agenda, Vienna / Austria (2017), in which its gaze, bent merely on itself, upholds and gleams, Hezi Cohen Gallery, Tel Aviv / Israel (2016), Escapement (with Andy Hope), Neue Galerie Gladbeck / Germany (2015), Technicolor: a) Feld, b) Fläche, Marburger Kunstverein, Marburg / Germany (2014).